New Music Alert: Insammer And Their New Album "Seeds"
InSammer is one of Sweden’s most promising metal bands, combining dark, pulsating Nordic grooves with Eastern European lyricism and melodic romanticism. Their live shows throb with emotional energy; Vika Dola’s voice ranges from a whisper to a full-throated growl, melding with the instruments as verses explode into churning, hypnotic choruses and pounding, crowd-mesmerizing riffs. The group calls their sound transfusion metal, a heavy mixture of alternative rock and nu-metal, which evokes the shifting musical styles and feelings that pour over them and infuse their performances. The band was created in Stockholm by Vika Dola and guitarist Dennis Wise, whose collaboration began at a music institute in Uppsala, Sweden in 2011. The name InSammer was inspired by The Door Into Summer, a science fiction novel by Robert Heinlein. InSammer has performed throughout Sweden, at the Metal Christmas Festival in Bucharest, and in other European countries. In October 2017, they recorded seven new tracks for an EP with producer Valery Stone. The current lineup also features virtuoso guitarist Oleg Izotov, bassist Nikita Simonov, and drummer Teodor Alexuta (“Todor Punch”). World-class drummer Alexey Baev has been playing with the band since April 2018. In December 2017, the band signed with Para Music Group, an affiliate of Sony Music Entertainment, and traveled to Gothenburg, Sweden to shoot a video for their new song “The System”. It was the first of two videos directed by Patric Ullaeus, who has made videos for Europe, Dream Evil, Amaranthe, and many other top Swedish acts. The second clip of InSammer, shot by Patrick Ullaeus, was from his awesome video for the song “Seeds”. The video premiered on March 16, 2018, on YouTube. From March to July, InSammer played at the Metalmania Festival 2018, Metal Head Meeting 2018. From March to June 2018, InSammer band played the opening act for such groups as Moonspell, Guano Apes, and Hollywood Undead. 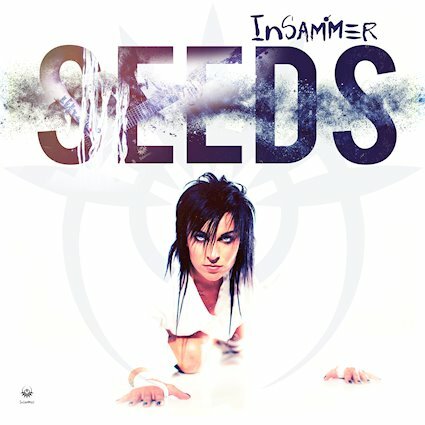 InSammer’s new album, Seeds, was released on April 27, 2018, with distribution by Sony Music / The Orchard. InSammer will perform at MetalHead Meeting 2018 Festival at Arenele Romane in Bucharest, Romania on July 7.